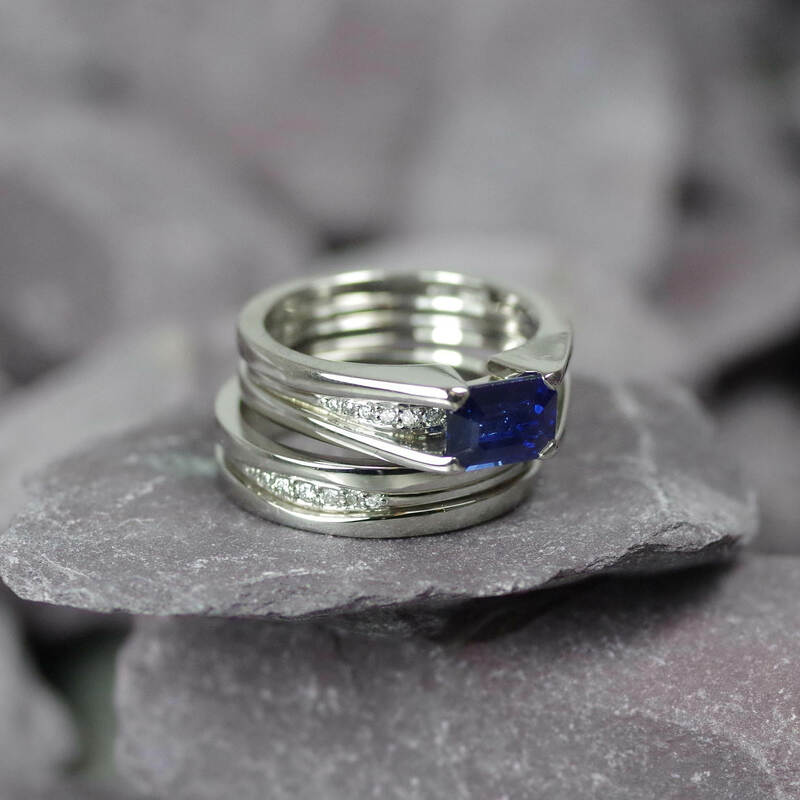 Your wedding rings are the most precious pieces of jewellery you will ever own, so why not make sure that they are they are truly individual and unique to you? That’s where we can help. 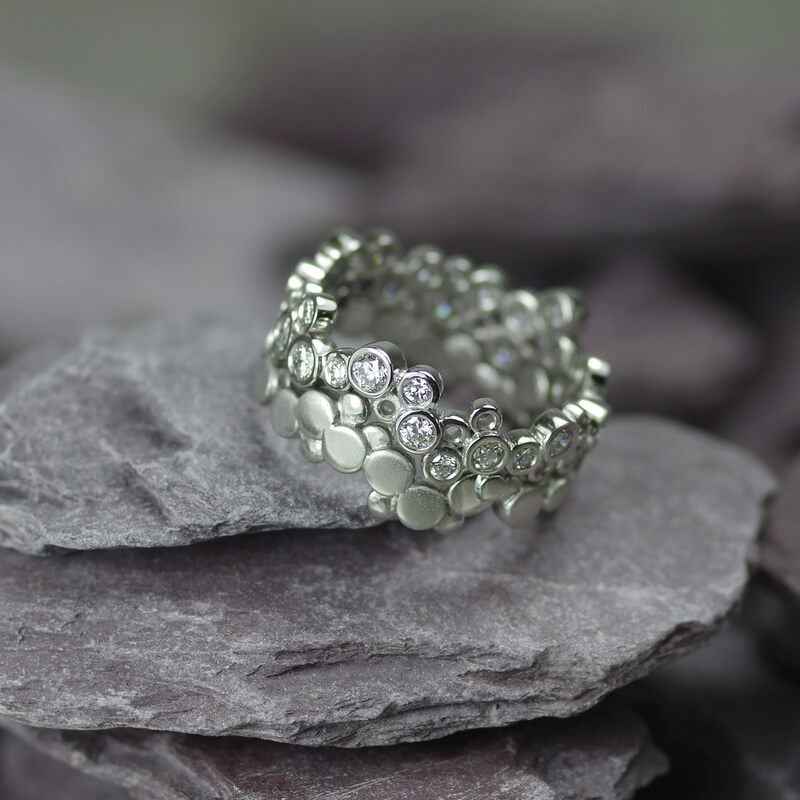 Every piece of jewellery we create here at Dot the Jewellers is custom made based on your individual tastes and preferences, meaning nobody else will have the same wedding ring as you. 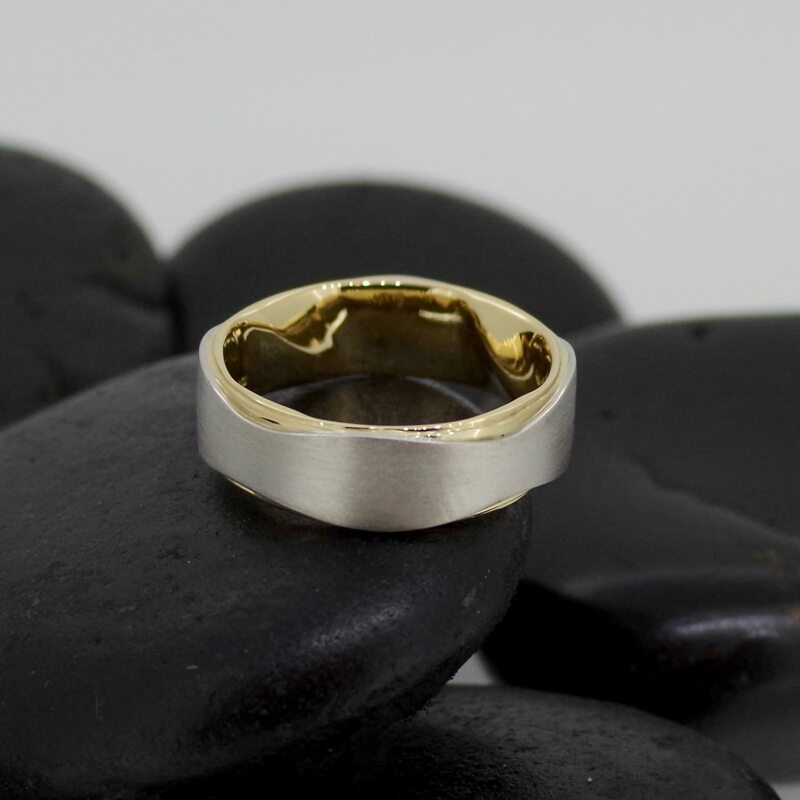 Whether you would like your bespoke wedding ring to be created in Gold, Palladium or Platinum, our handmade designs will cater to your exact need. Perhaps you’d like to include some gemstones such as diamonds, rubies or sapphires? We can do that too. 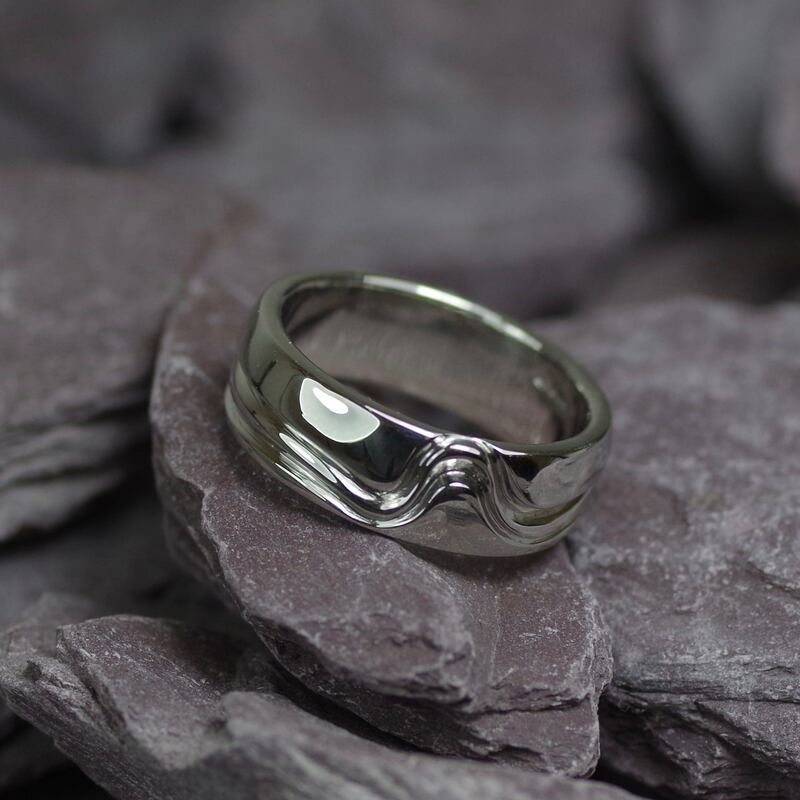 We can go even further by way of making your bespoke wedding ring truly unique and personal. 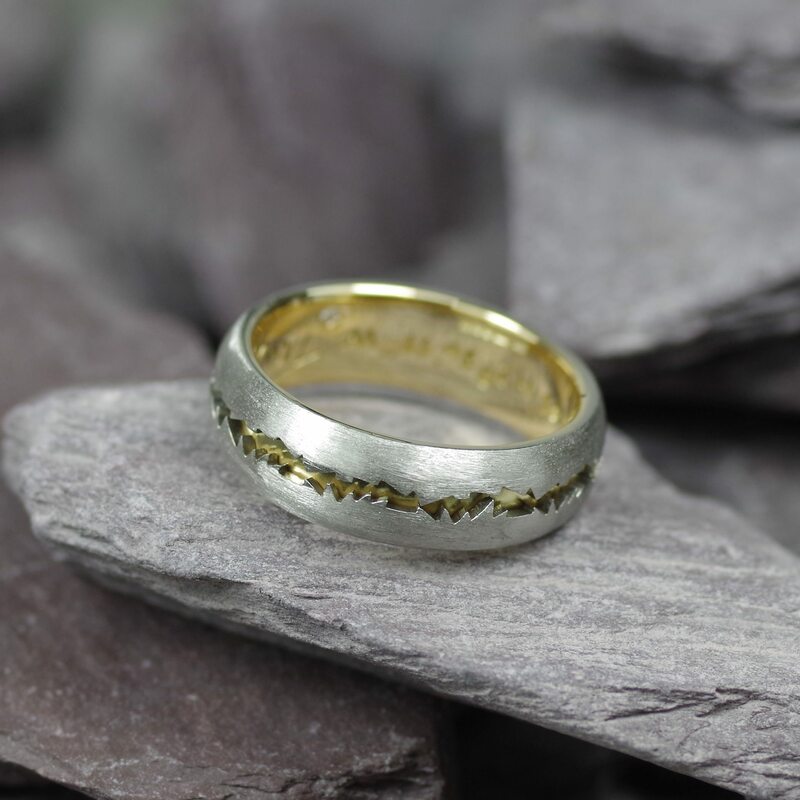 Some of our previous custom wedding band designs have included embossing on the inside of the ban. This could be a personal message, the date of your wedding or a private nickname, and we can emboss it in your own handwriting. 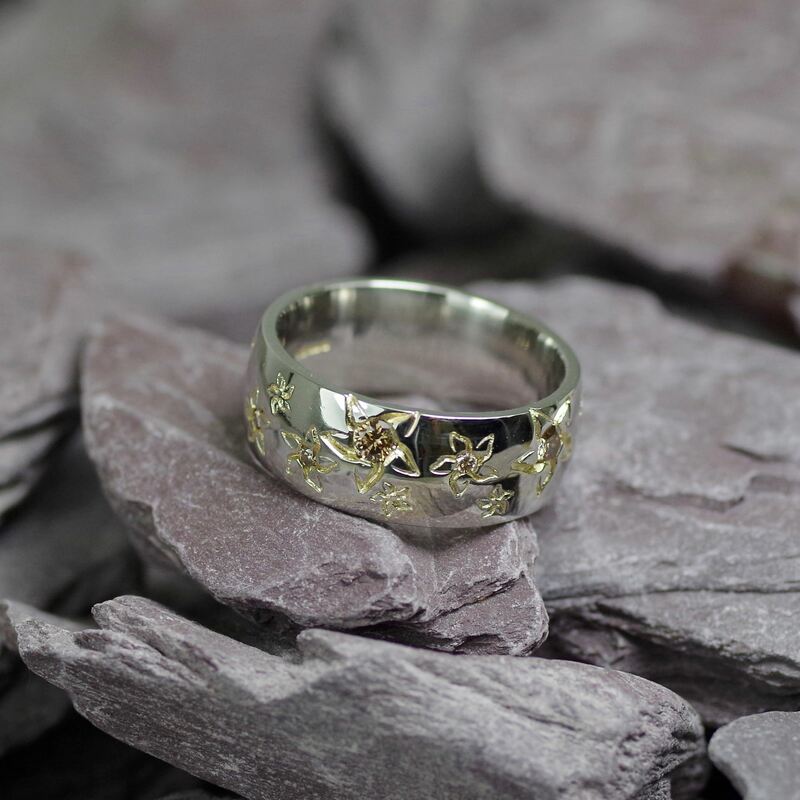 There are other ways you can make your custom made wedding rings unique to your personal tastes such as incorporating a sentimental song into the bespoke design, places with a special meaning such as a mountain range, or perhaps echoes of an artist you are passionate about. 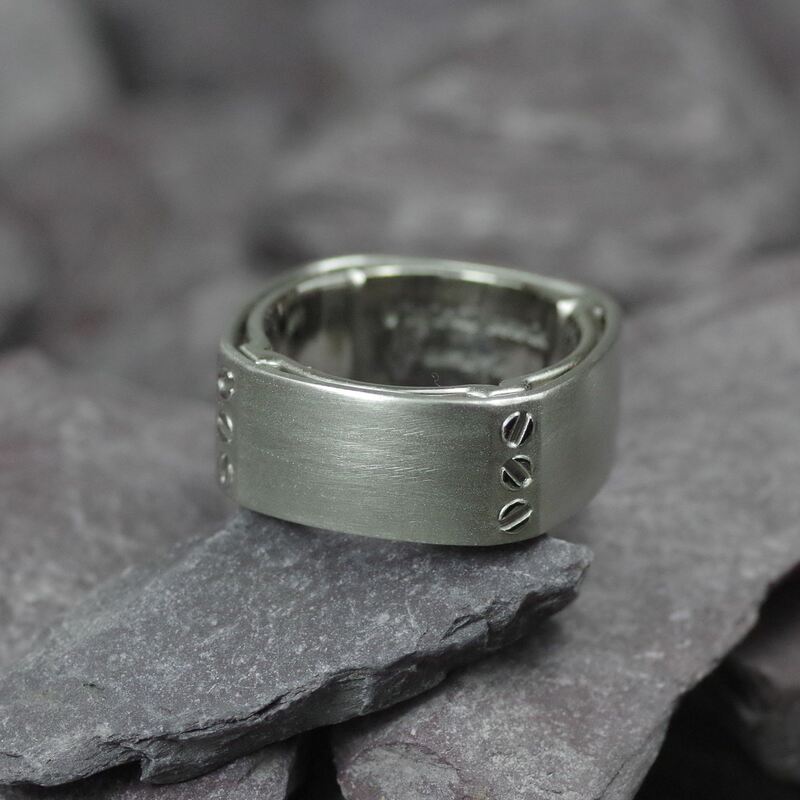 We have even created wedding rings which include the couples’ heart beats embossed onto them – it’s hard to get much more personal than that! We can create a custom made full wedding rings set for you if you wish – your engagement ring and both wedding rings – or we can design a wedding ring on its own. 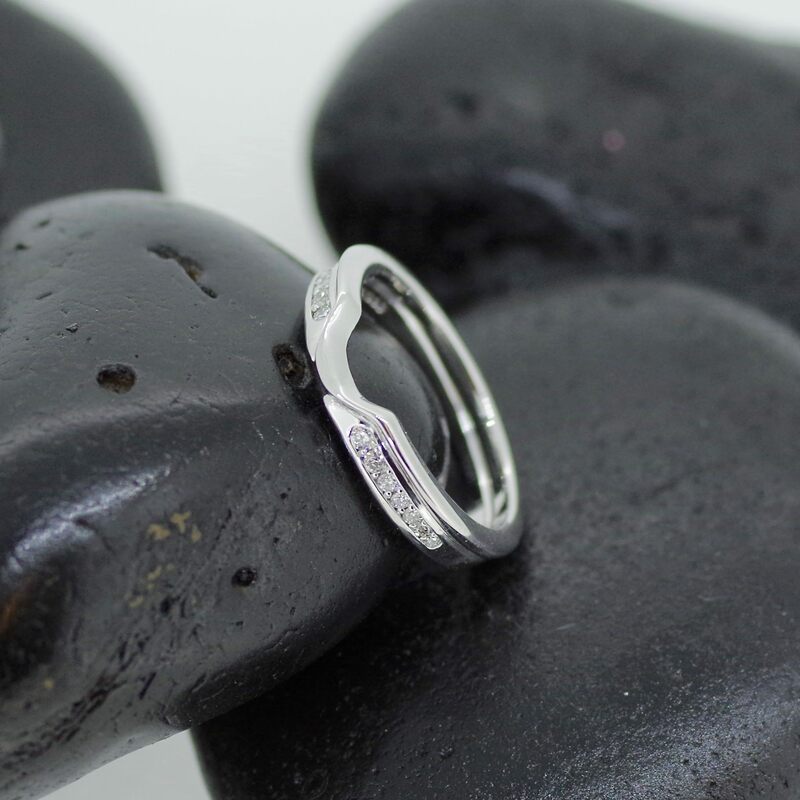 We can design your bespoke wedding ring so that it fits exactly around your existing engagement ring, in complete fitting with the style for the perfect fit and look.